Instruments, Computers & Controls, Corp.
ENSCO Marine has one of the most diversified fleets of offshore supply vessels in the Gulf of Mexico. LTD, 40llkl savings, profi mng, fork luaing dll CC required documentation and STCW certification. Burn shipboard waste and sludge in rugged and efficient THERM-TEC Mariner incinerators. The first and only US built, IMO. 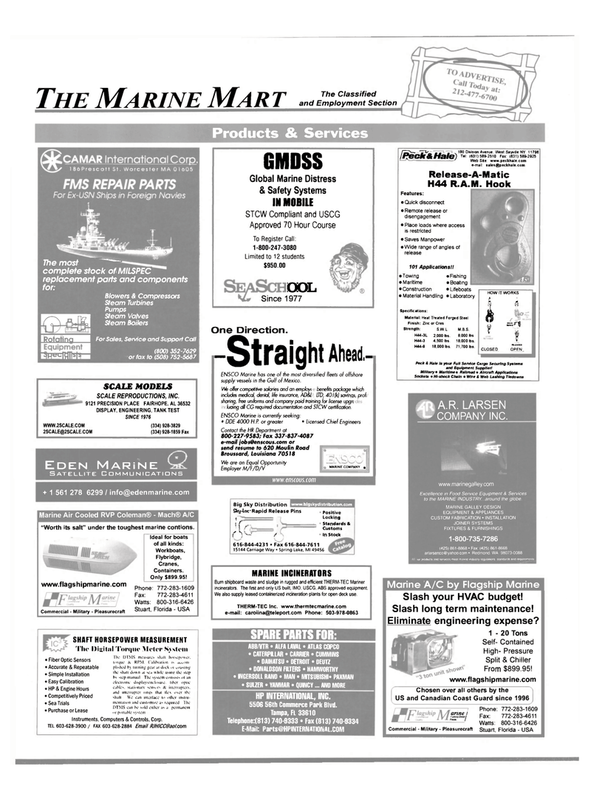 USCG, ABS approved equipment. HP INTERNATIONAL, INC. 5506 56th Commerce Park Blvd. H44-3 4,500 lbs 18,000 lbs. H44-9 18.000 lbs 71,700 lbs. Peck & Hale Is your Full Service Cargo Securing Systems and Equipment Supplier! Excellence in Food Service Equipment & Services to the MARINE INDUSTRY, around the globe. FIXTURES & FURNISHINGS 1-800-735-7286 (425) 861-8868 • Fax: (425) 861-8668 arlarsencoeyahoo.com • Redmond. WA 98073-0088 tut products and services meet marine industry regulations standards and requirements.